World of Hyatt # or Username: This field is required. Providing your last name will add another layer of security and will keep your World of Hyatt profile safe. This field is required. Password: This field is required. The World of Hyatt account system is offline for maintenance. We will be back shortly. To book an award or join World of Hyatt, please call 1 800 304 9288 or your nearest worldwide reservation center. Be sure to have your World of Hyatt number and password ready. Please check your dates and format them as (MMM/DD/YYYY). The date you selected is in the past. Please select a valid date. We're sorry, only dates up to 13 months from today can be searched. Make the most of your stay—explore our hotel’s special rates and packages. Save up to 15% with Member Rate Advance Purchase. Reservations must be made up to 14 days prior to your stay at participating hotels. Prepayment is required and nonrefundable. Reservation period varies by property. Member Rate is valid for World of Hyatt members in good standing at participating Hyatt hotels and resorts. To qualify for Member Rate, guests must make their reservation via Hyatt.com or contact their nearest Global Contact Center, and at time of booking request provide their World of Hyatt membership number and request Member Rate. To join World of Hyatt, please visit world.hyatt.com or complete enrollment at time of reservation. Member Rate is up to 10% off the Standard Rate, is non-transferrable and is valid for up to two guest rooms, per World of Hyatt member, per stay. Member Rate is not valid in conjunction with previously booked or held stays, with groups/conventions and may not be combined with any other rates, promotions or offer(s). Member Rate is per room, per night based on single or double occupancy, unless otherwise stated, and does not include tax, incidental charges or any other hotel specific charges. Room upgrades and extra guests will be subject to additional hotel charges. Member Rate is subject to individual hotel cancellation and no-show policy as provided at time of reservation. Limited number of rooms allocated to this rate; reservations subject to availability. Promotional blackout periods may apply due to seasonal periods, special events, or extreme demand and normal arrival/departure restrictions apply. Hyatt reserves the right to alter or withdraw this rate at any time without notice. Hyatt Hotels & Resorts™ encompasses hotels managed, franchised or leased by subsidiaries and affiliates of Hyatt Hotels Corporation. The trademarks Hyatt™, Hyatt Hotels & Resorts™, Park Hyatt™, Andaz™, Grand Hyatt™, Hyatt Centric™, Hyatt Regency™, Hyatt Place™, Hyatt House™, World of Hyatt™, and related marks are trademarks of Hyatt Corporation. ©2019 Hyatt Corporation. All rights reserved. Member Rate Advance Purchase is valid for World of Hyatt members in good standing at participating Hyatt hotels and resorts. To qualify for the Member Rate Advance Purchase, guests must make their reservation via Hyatt.com or a Global Contact Center, provide their World of Hyatt membership number and request the Member Rate Advance Purchase. All Member Rate Advance Purchase hotel reservations require full, non-refundable prepayment at time of booking. To join World of Hyatt, please visit worldofhyatt.com or complete enrollment during the reservation. Member Rate Advance Purchase is non-transferrable and is valid for up to 2 guest rooms per World of Hyatt member, per stay. Member Rate Advance Purchase is not valid in conjunction with previously booked or held stays, groups/conventions, and may not be combined with any other rates, promotions or offers. Member Rate Advance Purchase is per room, per night based on single or double occupancy, unless otherwise stated, and excludes tax, incidental charges or any other hotel specific charges. Room upgrades and extra guests will be subject to additional charges. Limited number of rooms allocated to this rate; reservations subject to availability. Promotional blackout periods may apply due to seasonal periods, special events, or extreme demand, and normal arrival/departure restrictions apply (unless otherwise noted). Hyatt reserves the right to alter or withdraw this rate at any time without notice. Hyatt®, World of Hyatt®, and related marks are trademarks of Hyatt Corporation or its affiliates. ©2019 Hyatt Corporation. All rights reserved. Book the Double Your Points rate on Hyatt.com and earn double World of Hyatt® points on eligible stays and purchase to get to your dream destination faster. Under this offer, you can earn double World of Hyatt bonus points for each whole U.S. dollar (or U.S. dollar equivalent) you spend on Eligible Rates and Eligible Incidental Charges when you book the Double Your Points rate and choose points for your stay. All points awarded under this offer are Bonus Points. Only Base Points are doubled. Offer valid for bookings made and completed by December 31, 2020 at participating hotels. All hotel reservations are subject to availability and must be made in advance on Hyatt.com requesting this offer. Offer is not valid with groups/conventions and may not be combined with other promotional offers. You must be a World of Hyatt member at the time of reservation and stay to benefit from this rate and must provide their membership number and be a registered guest of the room. This promotion is subject to the complete terms and conditions of World of Hyatt. Additional charges may apply for additional guests and room-type upgrades. 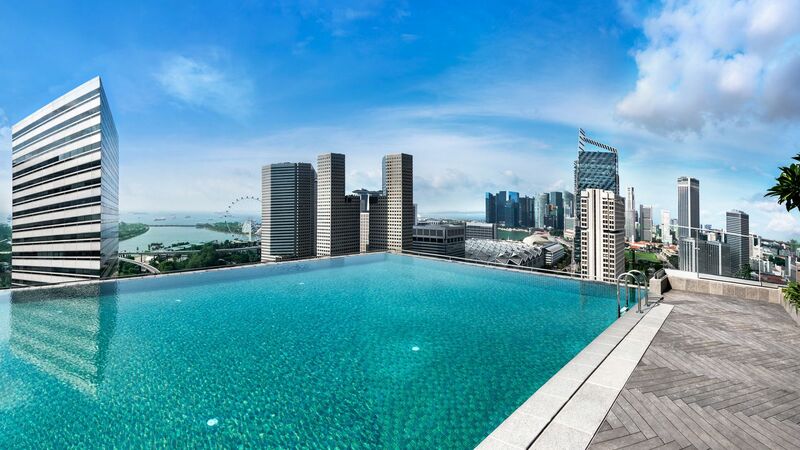 You must be a World of Hyatt member at the time of stay to benefit from this rate. Membership is free and enrollment is available at worldofhyatt.com or at a participating hotel. Promotional blackout periods may apply due to seasonal periods or special events, and normal arrival/departure restrictions apply. Hyatt reserves the right to alter or withdraw this offer with a suitable substitute offer of equal value (if legally required) at any time due to actual circumstances. Please see the website for updates. Hyatt®, Park Hyatt®, Andaz®, Miraval®, Grand Hyatt®, Hyatt Regency®, Hyatt Centric®, The Unbound Collection by Hyatt®, Hyatt Place®, Hyatt House®, Hyatt Ziva™, Hyatt Zilara™, Hyatt Residence Club®, World of Hyatt® and related marks are trademarks of Hyatt Corporation or its affiliates. ©2018 Hyatt Corporation. All rights reserved.